We’ve got all the good stuff right here! Well, election day is almost here (mercifully) — and it’s time for Americans to make their pick. As the votes roll in, perhaps no other nation will be watching as closely as Israel. What would a Trump victory mean? A Hillary win? Would one be better than the other for Israel? How could relations between the U.S. and Israel change? Join israel360 for an exclusive discussion with Herb Keinon, senior diplomatic correspondent for The Jerusalem Post, one of Israel’s largest daily papers. Hear Herb’s expert analysis and discuss the good, bad, and ugly of the 2016 election through an Israeli lens. Fun fact: This event is TONIGHT (November 1) so act fast – you don’t have to register in advance, walk on in! You do the math. Make a new gift to the 2017 CJP Annual Campaign today, and an anonymous — and very generous — donor will double it (up to the first $1,000 of ALL new gifts). That’s twice the good we can do. So give today, this match is only until November 11! Moishe House is looking for 3–5 dynamic young adults between the ages of 22–30 to live together and launch the Russian-speaking Moishe House in Boston! We encourage groups of potential residents to apply together. For more details about Moishe House Boston RSJ, please contact Yana, Director of RSJ Programming, at yana@moishehouse.org. Join some of our fabulous young adult leaders from Haifa as they pop up at events throughout the city! Elisha Gechter and Yaakov Komisar will be our educators for the Sip on November 15 at Osaka Sushi Bar in Brookline. Elisha and Yaakov are both funny, knowledgeable, and high energy, and it will be a great discussion about the Jewish take on democracy, leadership, and representation. Please invite your friends! Join Sandy Block, head beverage director at Legal Sea Foods, for an intimate Israeli Wine Tasting. Taste Kosher wines and hear about Sandy’s trip hopping from winery to winery in Israel this past spring. Executive Director, Barnet Kessel will share the history of the historic Vilna Shul, while talking about the fantastic work that is being done with Young Adults, families with young children, and the community at large. We will then join Havurah on the Hill for services and dinner. Join us on Tuesday, November 19, to celebrate strength, perseverance, and personal growth and toast two remarkable women who will share their CJP stories. Geraldine Acuña-Sunshine will reflect on her Jewish journey through CJP, and JulieSue Goldwasser will detail the power of the Jewish community in times of need. One week left to register for this Young Women’s Philanthropy Fall Event! Work in the healthcare field? Come hear Ben Gurion University professor Alon Tal, Sc.D. and meet friends old and new at the Health Professions Annual Breakfast on December 4! The event will once again be held at the hip Westin Waltham Hotel. Hope to see you there. On Saturday, January 28, 2017, at the Royal Sonesta Hotel in Cambridge, we will celebrate 18 amazing individuals and the equally-amazing work they’re doing to better Greater Boston’s Jewish community at Chai in the Hub. Nominated by their peers, friends, and colleagues, this group of under-45ers is shaking up the scene and doing it with style. We hope you'll join us! Apply before December 1 to be eligible for CJP’s Young Adult Community Grants. Up to $5,000 in funding is available to programs that promote social justice and leadership development or create innovative opportunities to bring young adults together. So, what’s your big idea? The Boston Jewish Film Festival is almost here! Take your pick of up to 60 film screenings here in Boston and beyond and toast the new wave of Jewish filmmakers at BJFF’s FreshFlix short film competition in Somerville. This is just one exciting event of the Festival, click here to see all this year’s festival has to offer. Don’t miss these other great opportunities to get involved this month! Check ‘em out. Well it’s that time of year again. Pumpkin candles. Pumpkin donuts. Pumpkin Spice Lattes!!! (Note: PSL now even has its own Twitter handle.) But why stop there? 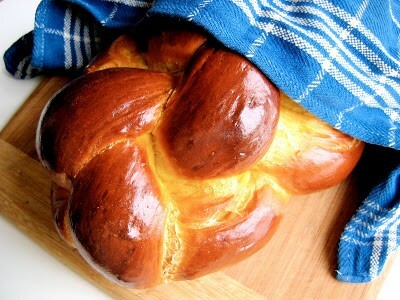 Check out this crazy good recipe for Pumpkin challah! IKR? Friday, November 4, 2016 | 5:15 p.m.
Friday, November 11, 2016 | 4:07 p.m.
Friday, November 18, 2016 | 4:01 p.m.
Friday, November 25, 2016 | 3:57 p.m.